Pat Lamb's New Book 'My Thinking Book' is an Enriching Compendium of Hard Questions and Truthful Answers About Faith and Life for Kids. 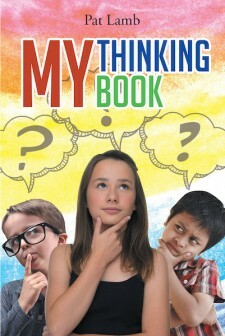 "My Thinking Book" from author Pat Lamb is an engaging book for young readers who enter life abuzz with the questions about life, people, and God, a question-and-answer manual where they are not only given wise, honest, scripture-based, and age-appropriate answers for a given question each day of the year, but are also encouraged to think for themselves and grow in wisdom throughout their lives. REEDS SPRING, Mo., November 5, 2018	(Newswire.com) - Pat Lamb, a widowed grandmother and distinguished educator for over sixty years now living in Branson, Missouri, where she is a parenting columnist for local newspapers, has completed her new book “My Thinking Book”: a helpful, stimulating book for curious young thinkers. Children have many questions! They deserve truthful answers to their questions. As they learn the truth, a foundation of understanding is being established that will last a lifetime. This book gives truthful answers in a concise way to stimulate thinking and conversation about many topics bothering children. What a confusing world our children are facing! Often, our efforts to make everything fun and easy simply confuse children all the more. The earlier in life children can understand answers to their questions, based on the Scripture, the easier their future will be. Children are constantly required to make decisions. Without the correct knowledge, how can they make the right decisions? 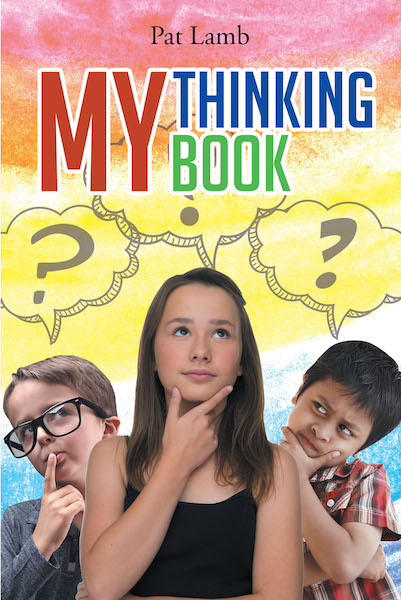 "My Thinking Book" is designed for children to read for themselves or have it read to them. Unless otherwise noted, Scripture is taken from the New King James Version of the Bible. Although reading ability varies, generally, third-graders or above can read it. Parents may choose to read "My Thinking Book" to the children to provide a springboard for conversation. A parent would do well to make "My Thinking Book" available for every child! Published by Covenant Books of Murrells Inlet, South Carolina, Pat Lamb’s new book is an instructive and much-needed guide that takes children’s prescient questions seriously and points them in the right direction for truth. Without downplaying the complexity of life or being unnecessarily vague, Lamb speaks to children with respect, compassion, and understanding. Readers can purchase “My Thinking Book” at bookstores everywhere, or online at the Apple iTunes store, Amazon, or Barnes and Noble. Recent release "God's Hole-In-One and Other Miracles" from Covenant Books author John W. Corfield is an edifying book that proclaims the grace of the Lord that assures personal healing and blessing.